Dacadoo, the innovative personal wellness and lifestyle management company, launches a comprehensive nutrition tool on its platform. Dacadoo is at the very heart of the Quantified Self movement which originated in the USA. This movement aims to understand and improve personal behavior through personal wellness management and has evolved steadily over the past few years with a growing following in the United States and Europe. 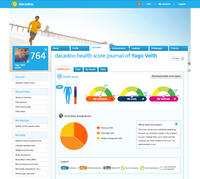 Dacadoo, headquartered in Zurich, Switzerland, launched its online wellness and lifestyle platform in 2011. The platform allows an individual to track and monitor their personal health behavior with a view to comparing and improving it over time. Peter Ohnemus, founder and CEO of the company, came up with the idea to measure his fitness using the latest technology during a ski trip. Central to this idea is the concept of a health score that quantifies wellness and health in real-time. Based on scientific evidence, it was built on behavioral change towards a healthier diet. It will contain more than 30 different goals and 1’300 everyday nutrition hints. It will suggest goals and hints to the user, adapted to the nutrition habits and eating/drinking behaviors of each user. A balanced diet is one of the important determinants of health, in addition to sporty workouts and relaxation. The current trend in hectic professional lives and other commitments make it increasingly difficult for many people to eat healthy. Even the "products-jungle" and misinformation on foods makes the decision about how to eat healthy more difficult and complicated. Furthermore, neither unhealthy eating habits nor workout habits, sleep problems and stress are reasons to this often leads to obesity. Thus, the risk of disease decreases as quality of life improves. The dacadoo nutrition tool is built on the Mediterranean diet concept. The focus is on plenty of fresh fruit and vegetables, nuts, olive oil, fish, etc. There is no other form of nutritional diet where the health benefits have been so clearly scientifically proven. Studies also show that people who eat a Mediterranean style diet can also lose weight healthily and sustainably. Here, the benefit does not remain on the track. The module proposes an increasingly targeted and personalized set of questions on dietary habits of users and compares them to the traditional Mediterranean diet. Successful nutrition management, however, is not only what and how much we eat, it’s also a question of when, why and how we eat that is just as important. 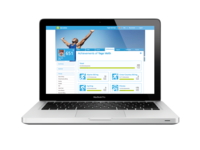 To capture this, the questions asked by dacadoo’s nutrition tool are designed to focus on eating behavior the tool also suggests personal goals, giving users practical tips on how they can improve. The nutrition module learns the user’s habits and proposes improvement goals which are adjusted automatically after a certain time. The more accurate the information gathered, the more accurate the tool can be adapted to the user. In the development of the tool, dacadoo realized that the sustainability of lifestyle changes would be of central importance. In this respect, the nutrition module manages and motivates users until such time as the newly acquired knowledge develops into a positive personal habit - like brushing your teeth.